The iconic Belmond Grand Hotel Europe in St Petersburg has thrown open the doors to its famous Krysha Ballroom after an extensive renovation. First designed by architect Fyodor Lidval in 1909, the ballroom continues its legacy of hosting dazzling parties for presidents, aristocrats and luminaries, once again making Belmond Grand Hotel Europe the city’s favourite address to celebrate. London-based interior designer, Robert Angell Design International, was selected to take the ballroom, a vision of timeless glamour, into a new era – continuing to preserve the heritage of one of Russia’s most unique residences. Located on the top floor of the hotel, the centerpiece of the ballroom is a stunning neoclassical stained glass ceiling which gives guests the feeling of soaring over the city, as natural light fills the 300sqm space. Named krysha, which translates as ‘roof’, its unique attribute has afforded the ballroom a prized protected status. Working within the guidelines of this status, Robert Angell Design International has introduced an elegant pearlescent ivory on the walls to add a sparkle befitting to the grand events it hosts, as well as carefully restoring the traditional stucco walls which are adorned with mirrors, gold accents and classic chandeliers. Stepping inside the elegant and welcoming foyer, guests are met by tones of soft celadon green and rich damask wallpaper, complemented by gold panel detailing on the walls. Adjoining the ballroom, the Krysha Terrace has been transformed into a glamourous cocktail bar, decorated with intricate, locally-made floral bas relief and a patterned marble floor. Spaces to the east and west offer the flexibility of occasional private function rooms which continue the floral bas design in complementing shades of powder blue and lavender. The light-flooded rooms high above the streets of St Petersburg are the perfect setting for weddings, parties and banquets, holding up to 250 people in a reception or theatre-style setting, 180 persons in a banquet or 160 in a classroom configuration. The ballroom can also be fully darkened for audiovisual presentations during conferences and corporate meetings. 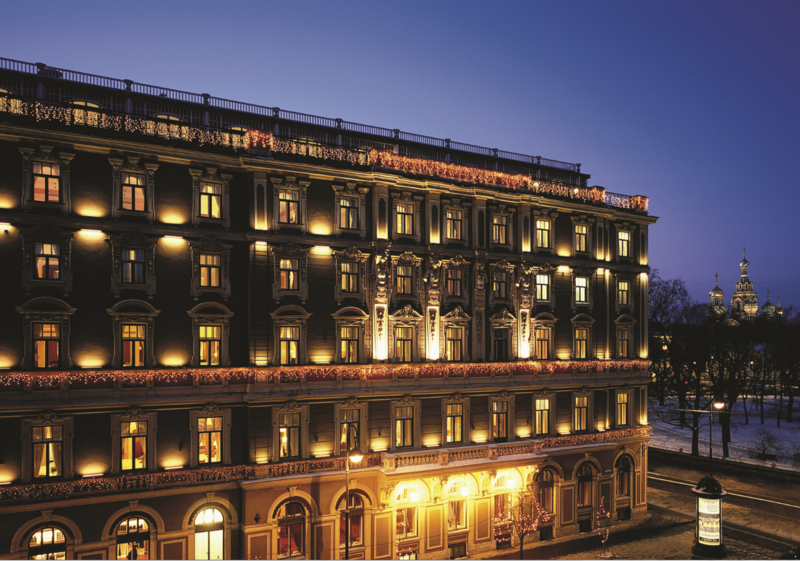 A cultural landmark at the heart of Nevsky Prospekt close to Arts Square, Belmond Grand Hotel Europe has long cherished its connection to the worlds of theatre, music and dance. 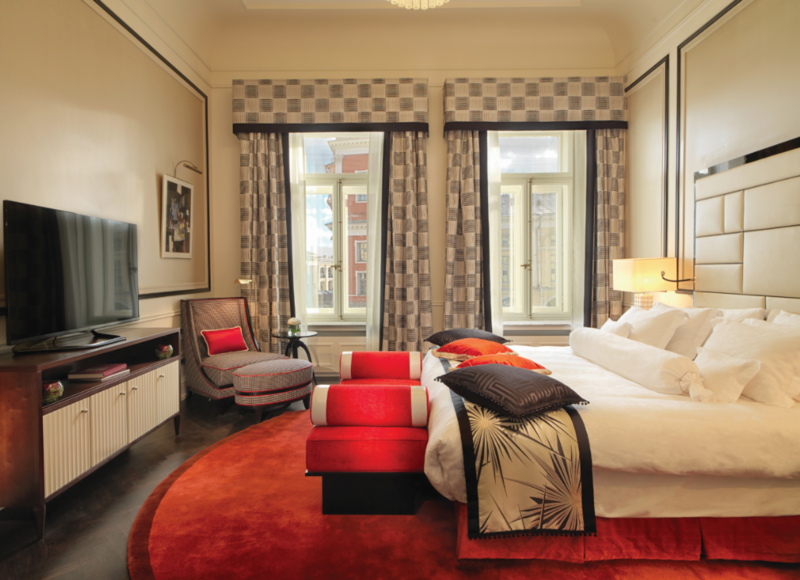 Honoring some of Russia’s most legendary avant-garde artists, five of the hotel’s most special suites are named after personalities such as Kazimir Malevich and El Lissitsky. 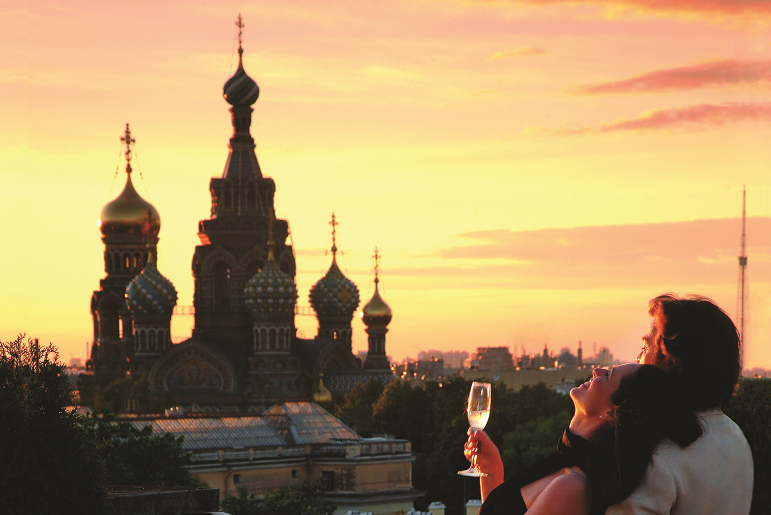 Offering a true taste of decadent Russia, guests can dine at the authentic art nouveau L’Europe or sleek AZIA restaurant, which was opened to mark the hotel’s 140 year anniversary in 2015. For further information on the Krysha Ballroom and Belmond Grand Hotel Europe, please visit belmond.com/grand-hotel-europe-st-petersburg or call 0845 0772 222.